Copper is one of the most valuable scrap metals, and at Valley Metal Services, we are experienced scrap metal brokers who can help you negotiate the best deal, whether you are looking to buy or sell. We work with manufacturers, auto recyclers, and scrap dealers who have Secondary Metals Recycler Licenses to sell scrap copper at the best prices. We are also a reliable source for legally salvaged scrap copper for industrial buyers. The price of all grades of scrap copper varies from day to day. The brokers at Valley Metal Services have extensive knowledge of the market for scrap copper and we offer our sellers highly competitive prices per pound. We have built relationships with consumers of all grades of copper scrap so we can help you market your scrap quickly and profitably. Copper bearing scrap: skimmings, grindings, ashes, irony brass and copper, residues and slags. Copper alloys: Brass and Bronze are common copper alloys that are sold as scrap. We can also help you buy or sell brass and bronze scrap. Florida law (Code Citation: Fla. Stat. Title XXXIII, Chapter 538, Part II) classifies many types of scrap copper as "Restricted Regulated Metals Property" including condensing or evaporator coils, tubing, or rods from certain types of air-conditioning and heating units and utility service wires including copper materials used for communication, transmission, distribution, and other utility services. Sellers of any of these types of scrap copper materials, including copper bus bars, connectors, grounding plates, and grounding wire and other forms of scrap that are not listed here, will be required to provide a receipt or bill of sale that proves they are the owner or legally authorized to sell the material. Valley Metal Services is based in Florida, and we strictly abide by all laws concerning the sale of scrap metal. Global demand for copper has continued to rise, particularly because of consumption rates in China. Worldwide demand for copper is expected to continue to grow. Because the need for copper is so great, and the resources so limited, copper recycling is a vital part of maintaining the world’s supply. Recycling copper conserves resources and the process used to turn old copper scrap into new wire, tubing, nodules, flashing and other forms uses process uses far less energy than mining. 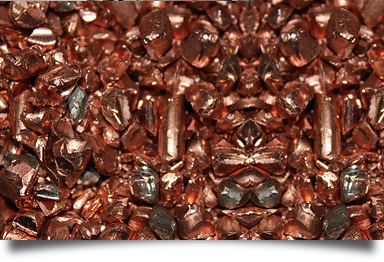 Copper scrap, like other non-ferrous metals, can be used as a raw material to make new copper over and over again. If you have any questions about recycling copper, or if you are looking for a professional partner to help you buy or sell scrap copper, please give one of the scrap metal experts at Valley Metal Services a call.